Everyone in the marketing industry agrees that the media agency business is going through dramatic change. Scott Hagedorn, global chief executive of Hearts & Science, reckons the last big shift was about 15 years ago, when the internet and digital media first went mainstream. Sir Martin Sorrell, chief executive of WPP, says it is the biggest change since media departments separated from creative shops two decades ago. But whether it has been 15 years, 20 years or more, the sense that agencies are facing a "big bang" moment was a hot topic at this year’s Cannes Lions. "No-one is sitting around comfortably right now," according to Tim Castree, MEC’s global chief executive, who is merging the WPP agency with sister shop Maxus to create a new company. "It is a very contested time in our industry," he adds, meaning there are lots of new entrants and challengers. The global media agency networks, which have become the profit engine of the big advertising groups, face the biggest disruption. Media shops overtook creative agencies in financial importance during the past decade, thanks to their buying power and scale. But now those strengths have been blunted by the rise of Google, Facebook and other tech platforms such as Snapchat, which own first-party data and allow brands to buy ads directly – without the need to use agencies. Sorrell says clients are driving change across the agency marketplace because they want simplification and integration, with media, data, creative, CRM and other disciplines working together. "WPP has always been market-driven," he says. "When we formed Mindshare [in 1997], it was because clients wanted it. What happened was that the market moved in such a way that J Walter Thompson and Ogilvy’s media departments weren’t sufficient to win business. You had independents like Chris Ingram, the Gross brothers in France and Western Initiative with Dennis Holt and Michael Kassan [running media agencies]." And now, 20 years later, the market is moving again. "The market is shifting so quickly because of technology and other things," Sorrell continues. "And what you have to do – whether you call it simplification or integration or horizontality or whatever – you have to provide the best structure for that market move." For Sorrell, bringing media and data together is part of a new holy grail and that’s partly the rationale for merging MEC and Maxus to create a new entity, backed by a group-wide data hub known as [m]Platform. Sorrell also wants to build digital agency Essence into a fourth global media network alongside MediaCom, Mindshare and the new MEC/Maxus business. Daryl Lee, global chief executive of UM, talks in similar fashion about "re-architecting media around data" instead of around insight, as it previously did. All the media networks have been investing in data capability. Omnicom has developed a data platform, Annalect, and launched Hearts & Science, which has leapfrogged Essence by uniting data, CRM, ecommerce and media. Meanwhile, Dentsu Aegis Network has bought Merkle, a digital CRM business, and is bringing its data platform, M1, into the heart of the company for its agencies to access. Creating content that can be personalised for consumers and distributed in real time is another boom area. MEC generates 5% of revenues from content and Castree wants that to rise to 20% by 2020. "More and more media agencies are getting involved in content," Mainardo de Nardis, global chief executive of OMD, the most-awarded media agency network at Cannes Lions this year, says. He argues that media shops have the edge over creative agencies because they understand how the media ecosystem works and can tailor content for screens of every size. "Only the media agency and the client can see all the orchestration – we see all the slices [of the media plan]," de Nardis explains. "Clients want to know where the story starts and where it ends, how you prioritise, how you sequence it, how you orchestrate the story." Meanwhile, UM runs UM Studios to make content at scale and speed on behalf of brands. That’s "not what creative agencies are built to do", Lee says: "They’re built to create long, beautiful creative pieces that stand the test of time." That still matters, but clients also want agile, fast-turnaround content to drive performance marketing, he adds. Getting media and other disciplines such as creative, digital or PR to work together for a brand is becoming more important. Recent account wins such as Walgreens Boots Alliance and British Airways for WPP, and Asda and Procter & Gamble in the UK for Publicis Groupe, show that brands are increasingly looking to a holding company to provide a simplified, one-stop solution rather than having to corral lots of agencies. "The best solution that I think the clients want is the best people working on their business," Sorrell says. "Those people could come from multiple brands [within WPP]. My view is stronger today than it has ever been that moving to one organisation is the right end position. The only question is how quickly you do it and how you do it." 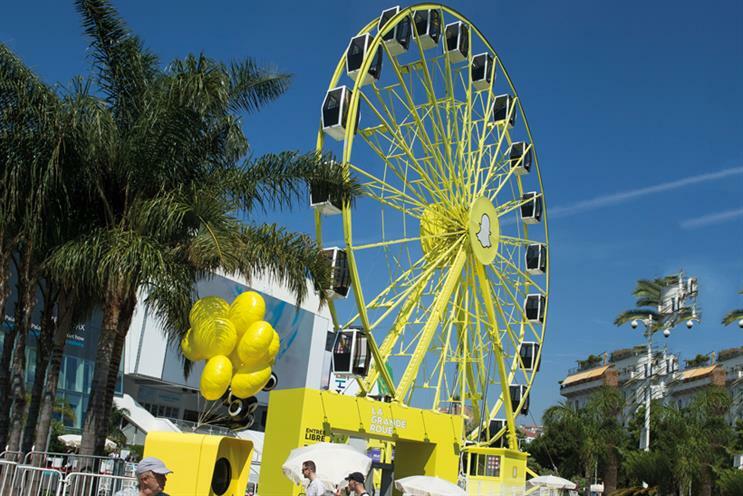 The entrance of consultants and computing giants such as Accenture, Deloitte, Oracle and IBM into marketing services may be limited for now but no-one could miss their presence at Cannes. Demand from clients for strategic advice and "upstream" thinking about how to cope with digital disruption and transformation in a connected world is real. Publicis Groupe used its consulting arm, Publicis.Sapient, to support Starcom on its successful retention of P&G in the UK. WPP’s Wunderman is pushing into consulting and Omnicom is expected to beef up its capabilities. Agencies need these new skills in a world where they say revenues matter more than media billings. The dilemma facing agency groups is where the balance of power rests between the holding company and the agency brands. The way Omnicom killed M2M last year and WPP dropped Maxus and MEC suggests that agencies are becoming less important. Publicis Groupe has also dumped the Optimedia brand and questions persist about Mediavest, although the group has said it remains committed to its fourth global media network. Sorrell thinks agency brands matter to staff but may be less important to clients. WPP’s recent decisions to merge Neo@Ogilvy into Mindshare and consultancy group Salmon into Wunderman says a lot about how the agency landscape is changing. It’s not just media shops that are affected.